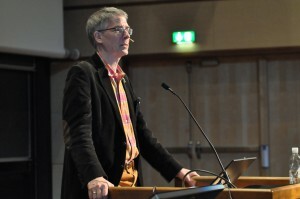 Christof Koch lecturing on “The Biology of Consciousness “ in the largest lecture hall of the University of Oslo, on May 8, 2015. 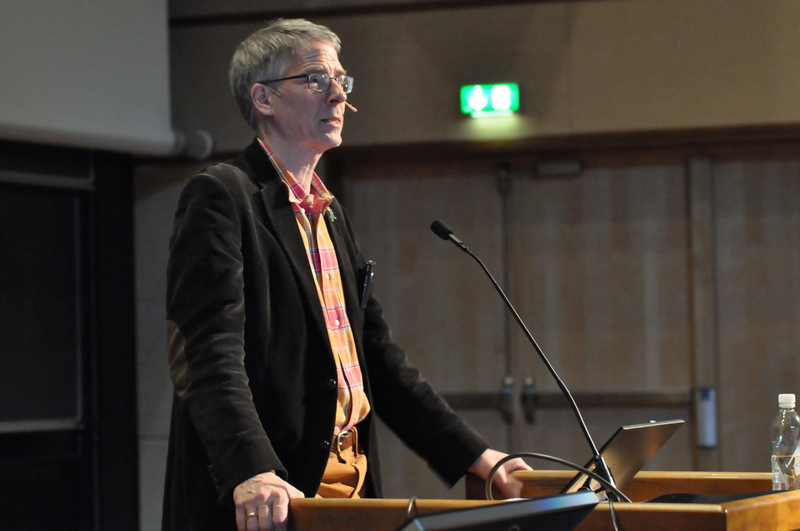 The Vice-Rector of the University of Oslo, Prof. Knut Fægri opened the meeting. 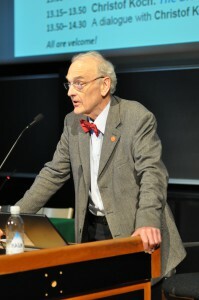 Johan Storm hosted the meeting and introduced Dr. Koch. 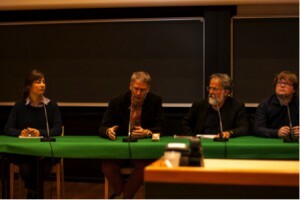 The lectures were followed by a panel discussion on consciousness research with Dr. Koch, Thomas Espeseth (psychology, Oslo University Hospital and University of Oslo), Thomas Watzl and Hedda Hassel Mørch (both from philosophy, University of Oslo), and Johan Storm (neurophysiology, University of Oslo). Dr. Olve Moldestad chaired the panel discussion with (from left) Thomas Watzl and Hedda Hassel Mørch (philosophy, University of Oslo), Christof Koch , Johan Storm (neurophysiology, University of Oslo), and Thomas Espeseth (psychology, Oslo University Hospital and University of Oslo). This open meeting was hosted by the Forum for Consciousness Research, in collaboration with the University of Oslo. After the open meeting, there was a lunch with invited guests. 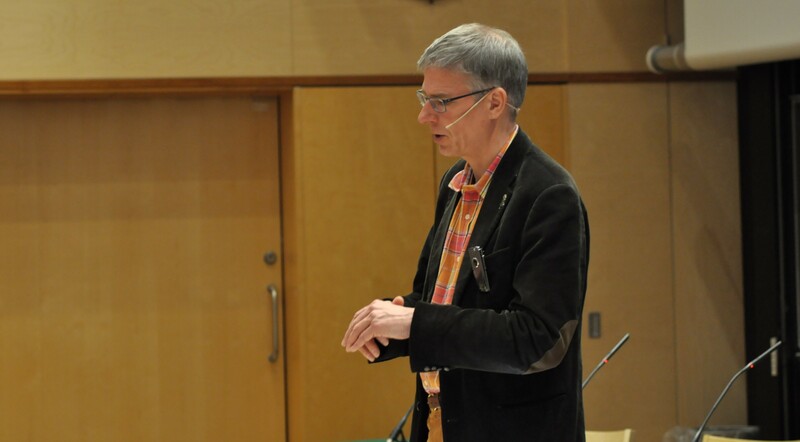 And Christof Koch gave an interview on free will» to the national Norwegian TV company NRK. 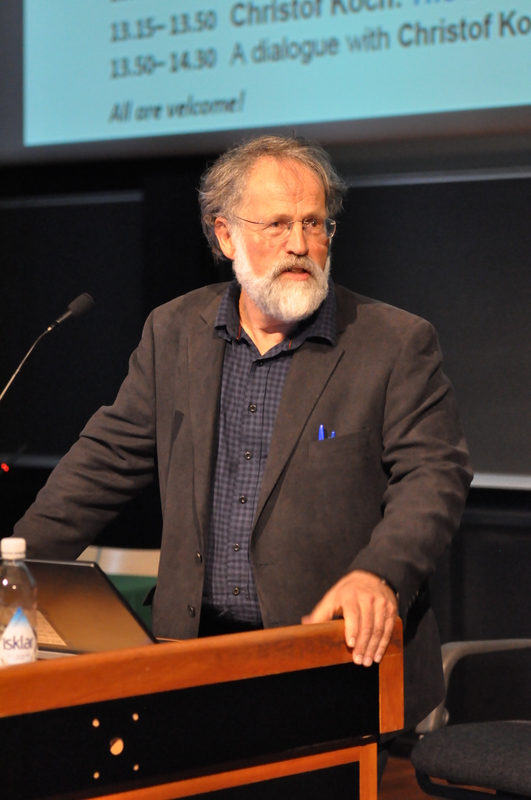 The Interview will be aired in the science magazine “Scrödingers katt” in the fall of 2015.